A new online collaboration aims to speed up and strengthen the taxonomic naming of sponges. This is just one example of how the internet has and can help increase the global scientific output. 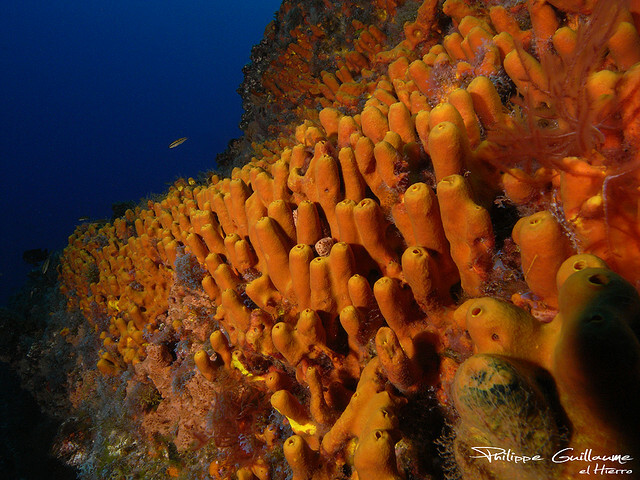 Sponges play a vital role in our marine ecosystems, principally by acting as water cleaners. Their taxonomy has traditionally been challenging, partially because of the difficulty in bringing together all the required data, to accurately check and name species. The SpongeMaps tool, is an online collaboration which aims to help quicken the speed of data delivery and provide a focal point for stronger formal naming and releasing of taxonomic data. Specifically the tool brings a variety of data, including morphology, images, geo-referenced data, chemical structures and molecular barcodes into the focal point for experts and public alike. These types of projects, which aim to speed up taxonomic processes are important to our ongoing ability to accurately describe and document biodiversity in the long term. Primarily because taxonomy makes it possible to quickly identify species on an ongoing basis, but also acts as an anchor to other relevant information regarding that species. Behind the SpongeMaps tool, the taxonomic lexicon is underpinned by the World Porifera Database, which is in turn a product of the World Register of Marine Species (WoRMS). Sources of authoritative and comprehensive registers of species names, like these, are vital in establishing a common standard for using taxonomic data across the globe. As part of our commitment and belief in the importance of global taxonomic standards, our team are delighted to announce an agreement with WoRMS to incorporate the global list of marine species into our data tools (see announcement).